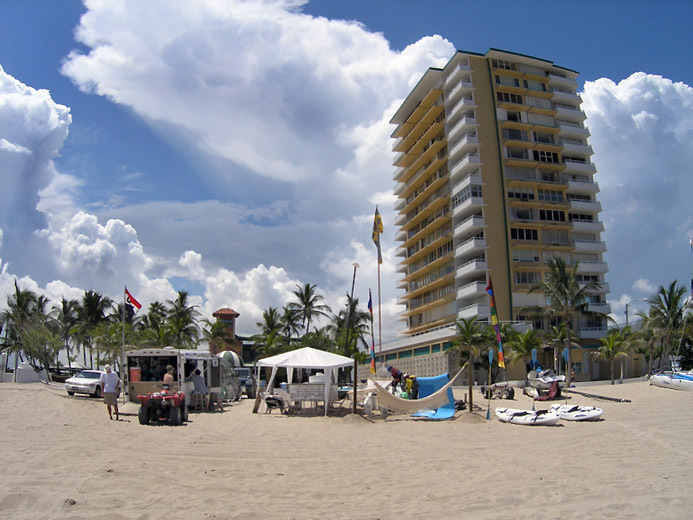 Tiki Beach - NEW On Ft. Lauderdale Beach!!! 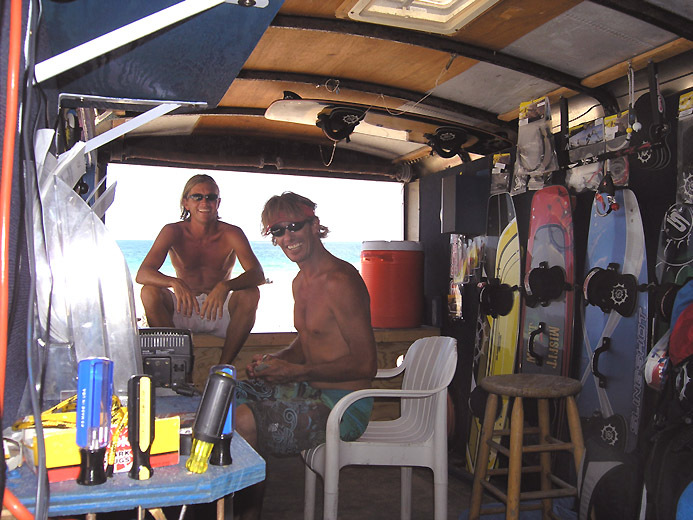 moved on and Neil has returned to this famous launch with Tiki Beach Kiteboarding! 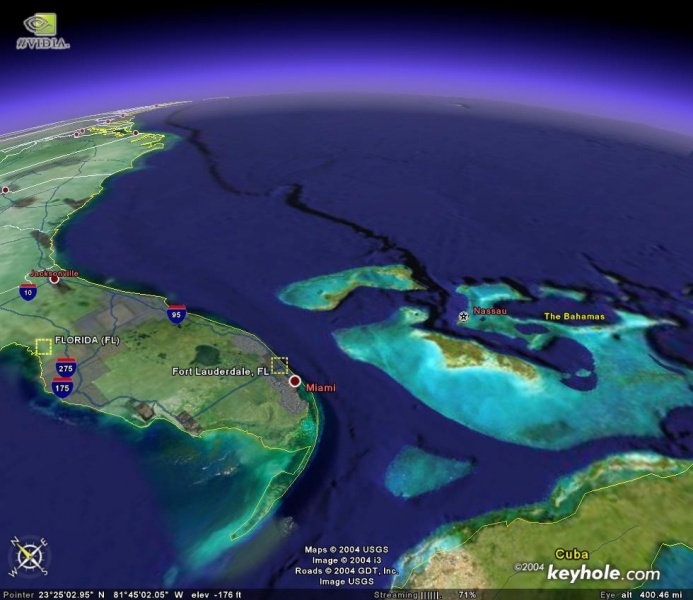 legendary Ft. Lauderdale to Bahamas Crossing last year along with numerous pending events this year. He was also one of the three riders to make the record kite crossing from Key West to Cuba in 2001. The race start to the Bahamas last year. 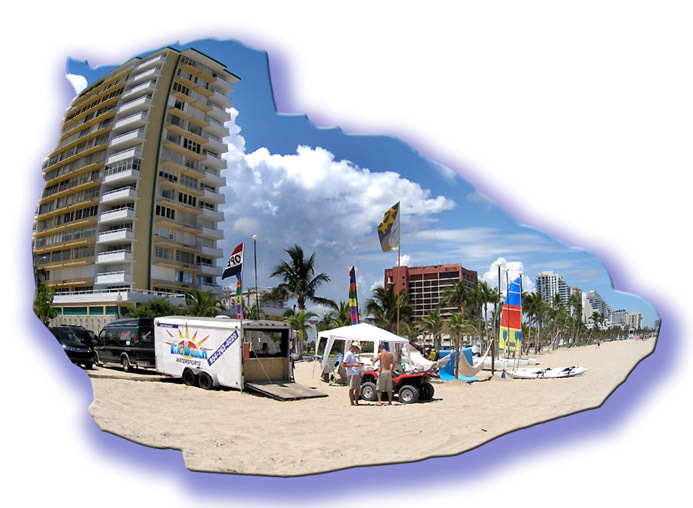 hobie cat, kayak, boogie board rentals and a good deal more. Neil has formed a club of local riders to support continued access at this launch and city licensed concession. you must be able to stay upwind to ride here. forget about those FULL MOON PARTIES either, these guys really know how to throw a party. See you in Ft. Lauderdale! Last edited by RickI; 05-25-2008 at 06:27 AM.